This time of year it is easy to find articles about holiday shoppers who are “self-gifting” while they shop for the perfect gift for others. 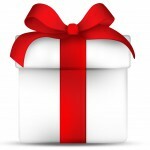 Whether it is because the deals are too good to pass up or because shoppers tend to invest in or replenish categories of goods that others wouldn’t buy for them as a holiday gift (like a vacuum or electric toothbrush) when they are on deep discount, “self-gifting” around the holidays has gained momentum since the early 2000s. As you are considering that perfect give that you will love, don’t leave a brighter and more fulfilling future off your list! The following are some of my favorite products featured on our website that would make great gifts to yourself (or a loved one) and if you order before December 23rd using the coupon code “Holiday2013” you will received a 15% discount on your purchase. And right now I am happy to offer limited edition autographed copies of all the featured books on my list. ThriveTime for Teens– If you are looking for a tool to share with the young people in your life that will be fun and help them understand the realities of financial responsibility and what it is like in “the real world” this is it! Teens have shared with us over and over how this game opened their eyes to what their parents deal with, to what they should expect when they are on their own and how they can change their decision making processes today to create a better tomorrow. This is not only a great gift, but a wonderful family activity to get the conversation started about what the young people in your life know (or don’t know) about money. Learn more. There is no better gift that you can give than that of prosperity and fulfillment. I’ve put this holiday gift guide together based on my own love and passion for these products and the feedback that I have received from community members who have benefited from each of them. This holiday season, I hope you invest in yourself and in the future of your loved ones with tools that will empower and inspire action for a brighter future!